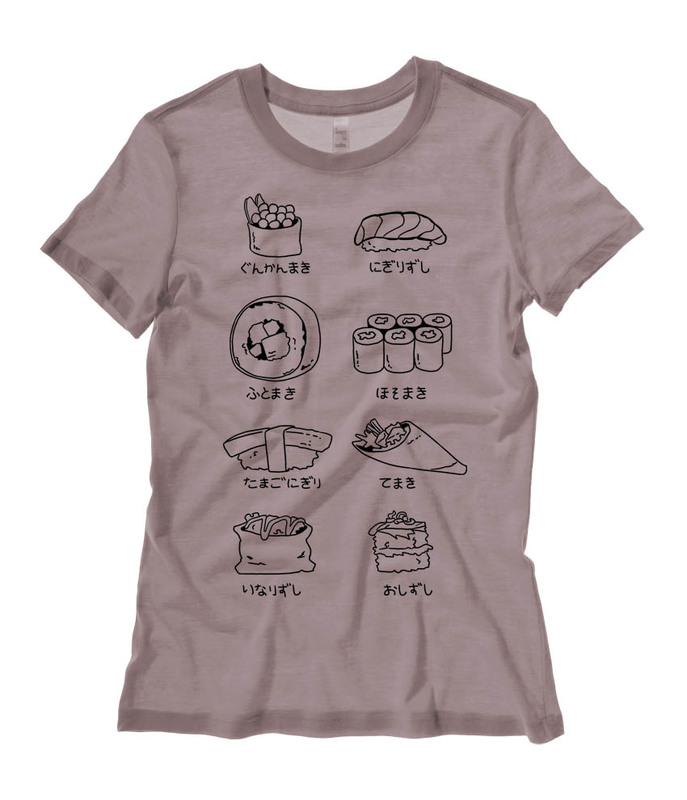 Do you like your sushi in fat rolls or pressed? 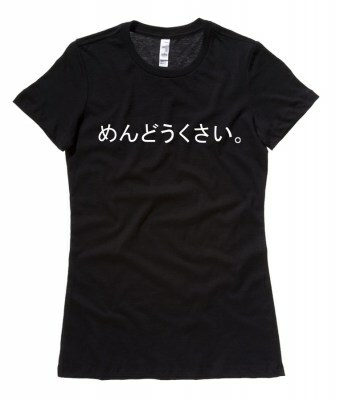 Tuna or egg? 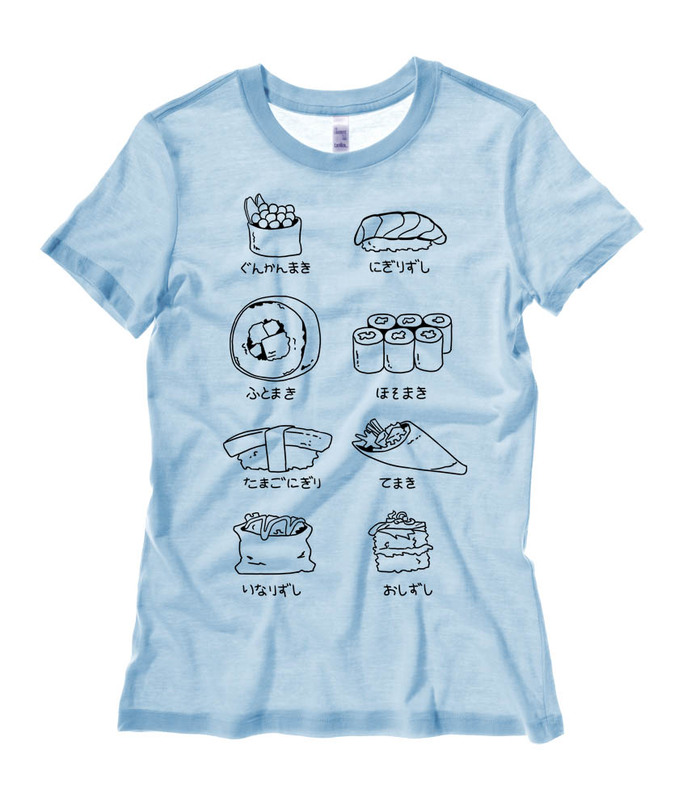 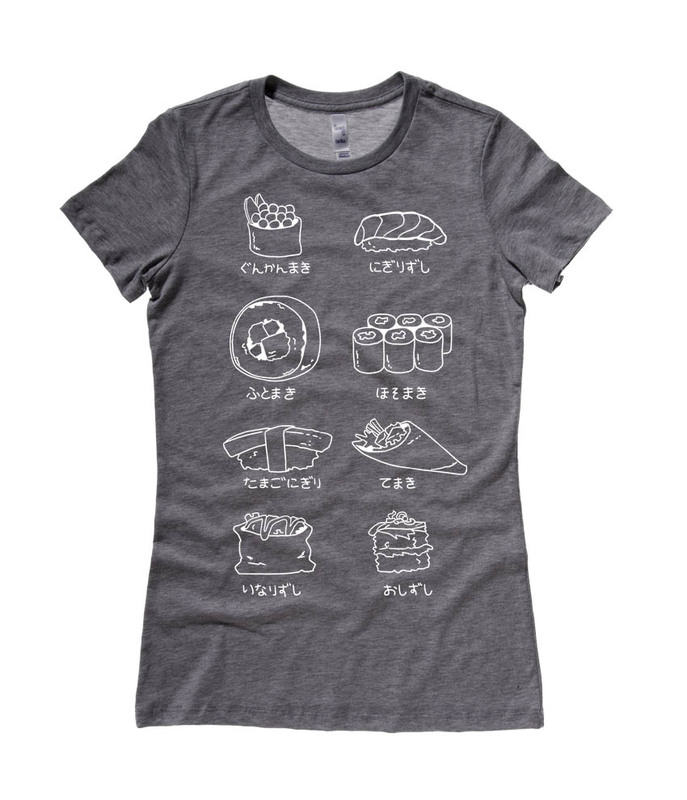 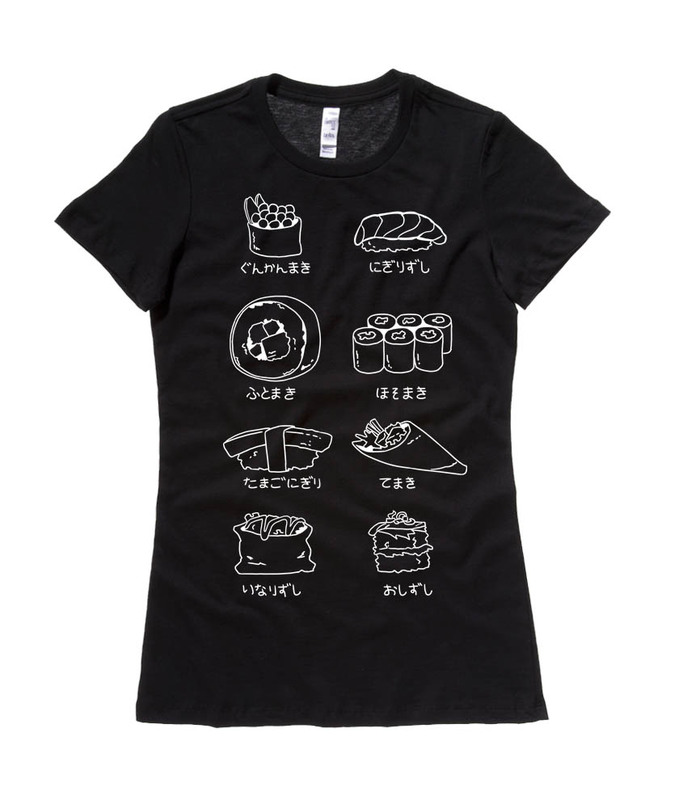 Wear our sushi t-shirt with charming illustrations of various sushi types. 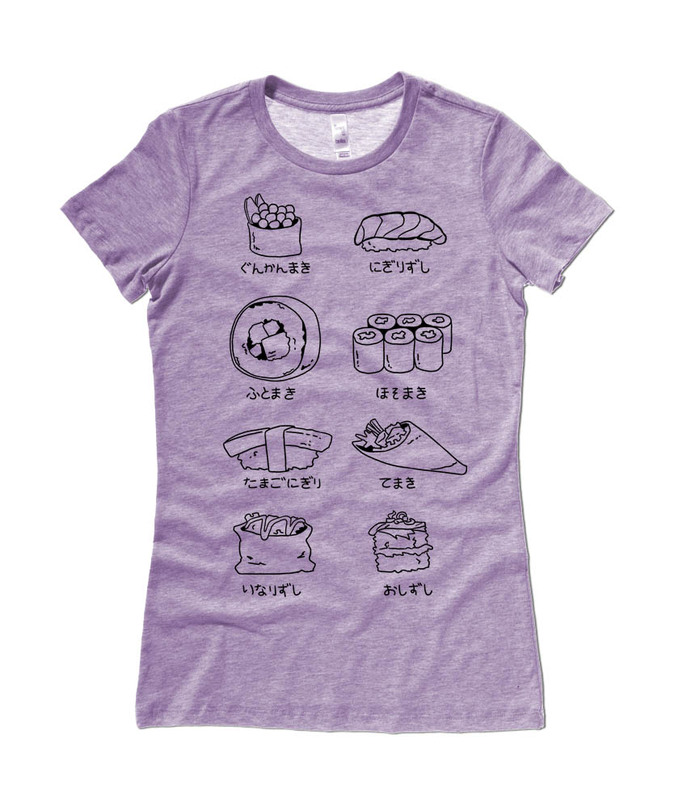 Our ladies cut t-shirts feature a classic relaxed fit and super-soft fabric.